This week has me picking almost all the favorites, as it seems to be the rare occasion when all the bad teams are playing against good teams. As we are starting to sort out who is good and who is bad, this seems like a good time to take a look at the playoff picture, and make some predictions. In the AFC, you can pencil the Titans in as the #1 seed, winning the AFC South. I like the Steelers to win the North and get a first round bye, despite the Ravens appearing to be hot right now. In the AFC East, the Patriots’ experience will push them through to another division title. In the putrid AFC West, the Chargers will beat the Broncos in Week 17, to win the division at 8-8. (Seriously, can we just elect to not have a team from this division in the playoffs, unless someone catches fire at the end of the season? It’s an insult to several teams who will be sitting at home having to watch these no-talent clowns go out there and get to host a football game in January). I’ll take the Colts and (groan) the Jets as the Wild Card teams. The NFC is a little more muddled. The Giants look to have a grasp on the East and home field throughout. I’ve got the Panthers squeaking by the Buccaneers to take the NFC North and the second bye. The Cardinals could probably play the rest of their games with only a punter and still win the NFC West. The NFC North is wide open, and any of the three teams not from Detroit could win, but I like the Bears to take it. For the Wild Cars, it’ll be the Redskins and the Bucs. People (media) like to play up the Belichick vs. Mangini “rivalry,” but the Patriots have won all but one time the two have met (and the Patriots have won 11 of the last 12 meetings). And if you’ve been reading Gamblor all season, you know my thoughts on the Jets. They are not good. Matt Ryan at home (four game): 125.2 rating, 5 TD, 0 INT. Michael Turner at home: 474 yards, 6 TD. And the Broncos have yet to allow less than 30 points when on the road this year. If you have a Falcon on your fantasy team, you may want to consider starting them this week. The Raiders have changed who is calling the plays. Now if they only change who is throwing, running, receiving, blocking, and playing defense, they’ll be halfway there. The Ravens wins have come against the Bengals, Browns (twice), Dolphins, Raiders, and Texans. Those five teams have a combined record of 17-37. The highest ranked defense (in yards allowed) of that group is the Dolphins, who are 18th. The Giants, on the other hand, have the 3rd ranked defense. This might be a little much for Joe Flacco and the Ravens to handle. The Texans are 0-4 on the road and in his three games this season, Sage Rosenfels has 6 interceptions and 2 fumbles. As bad as the Colts started the season, they are now entering a very easy stretch of their schedule and could easily be 11-4 headed into their Week 17 game against the Titans. This will inevitably lead to tons of “The Colts are Back” stories and talk about how, now that Manning is healthy, they should be the favorites in the AFC. These stories will then prove to be incorrect when the Colts get crushed on the road in the second round of the playoffs. I want to say the Titans are due for a loss soon, but they have a stretch of bad opponents who I refuse to pick coming up, including the Jags. The reason I think the Titans might be on their way to a loss - people talking about Kerry Collins as MVP. I heard at least two different analysts mention this on TV, and it is preposterous. Yes, the Titans are undefeated and Collins played very well last week, but come on. He has a 78.8 rating and has only thrown 5 TD. This team is led by its defense, not Kerry Collins. He is playing well, but lets cool it with the MVP talk, please. 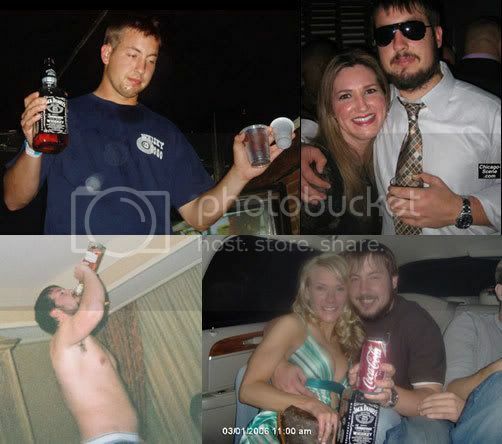 If you told me two years ago (or even one year ago) that my pick in this game depended on if Neck Beard was playing or not, I would have bet $10,000 that I would be picking against Kyle Orton. Go figure. So, if Orton plays, this line will change, and my pick might change too. Since I’ll be getting this game on TV, and it’s sure to be boring, hopefully the Bengals go for it on 4th down. Both teams will see the return of their starting running backs. From a pure karma standpoint, I’m going to go with the one coming back from a knee injury over the one coming back from a suspension after spitting in a girl’s face. After four straight weeks of the Lions being competitive, they went back to having the pants beaten off of them last week. 0-16 is becoming a very real possibility. You think the 1976 Bucs are waiting with a bottle of champagne for the Lions first win like the ‘72 Dolphins are for the Titans first loss? The NFL is starting to look like the NBA playoffs from last year. The Bucs are 4-0 at home; the Vikings are 1-3 on the road. On the list of things I care about, this game is only slightly above the premiere of MTV’s next pseudo-reality show about really rich, attractive teenagers entitled something like 'I’ve Got No Talent, But I’ll Spend My Entire Life Falling Backwards Into Money’ Island. Matt Hasselbeck is back! What’s that you say? The Seahawks are bad anyways and have the second-worst pass defense in the NFL and will be torched all over the field by the Cardinals? Oh, right, yeah, but a 3-point spread seems logical here, let’s go with that because it makes a lot of sense. LOCK OF THE WEEK. This line is only slightly less crazy than the previous one. Vegas still likes to treat the Chargers as though they are a good football team for some reason. Hey, Tomlinson gets 3.8 yards per carry, and the Steelers have the best pass defense and second-best run defense in the NFL, but no, they won’t crush the Chargers at home. If Clinton Portis were able to straighten his leg, it would go a long way to making me feel more comfortable about this game. The Bills should be happy to see a team not from the AFC East.